Hair loss affects about 50 million men and 30 million women and can have negative effects on your self-esteem and social life. At Plateroti Dermatology, Dr. Carmelo Plateroti offers NeoGraft® – a non-surgical solution to hair loss that results in no scarring and minimal recovery time. 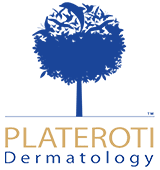 Contact Plateroti Dermatology today to schedule a consultation at our office in Templeton, California, with Dr. Plateroti and our medical team and restore your natural hair growth with NeoGraft®. This procedure features the Follicular Unit Extraction (FUE) method, an advanced technique that removes individual hair follicles in their natural pairings of 1-4 hairs and strategically places them on areas of the scalp where hair loss has occurred. This is the only system of follicular harvesting and implantation that is approved by the FDA and utilizes pneumatic “no touch” technology that can precisely extract and implant hair follicles with predictable, natural-looking results. During a typical NeoGraft® procedure, patients are awake and comfortable. There are no incisions and minimal blood loss due to the advanced technology, and after the procedure, patients experience fewer restrictions than with invasive surgeries. NeoGraft® is performed with local anesthetic with no intravenous or intramuscular sedation required, resulting in minimal discomfort and fast recovery. One of the main benefits of NeoGraft® is its ability to be customized to your individual needs. Whether you would like your hair long or short, there is flexibility for any hair style of your choice. With NeoGraft® at Plateroti Dermatology, you can have thicker, fuller, more voluminous hair using your own natural growth. If you’re ready for a fuller head of hair with no surgery or downtime, call us today to schedule a consultation in our Templeton office and find out if you are a candidate for NeoGraft® hair restoration.